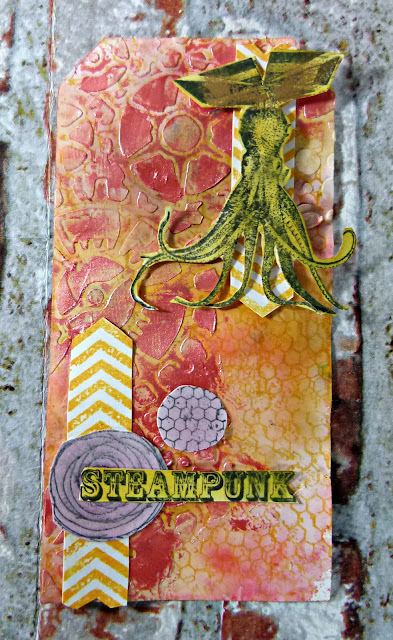 I am back with a quick make using the Grunge Texture stamps by Pam Bray. 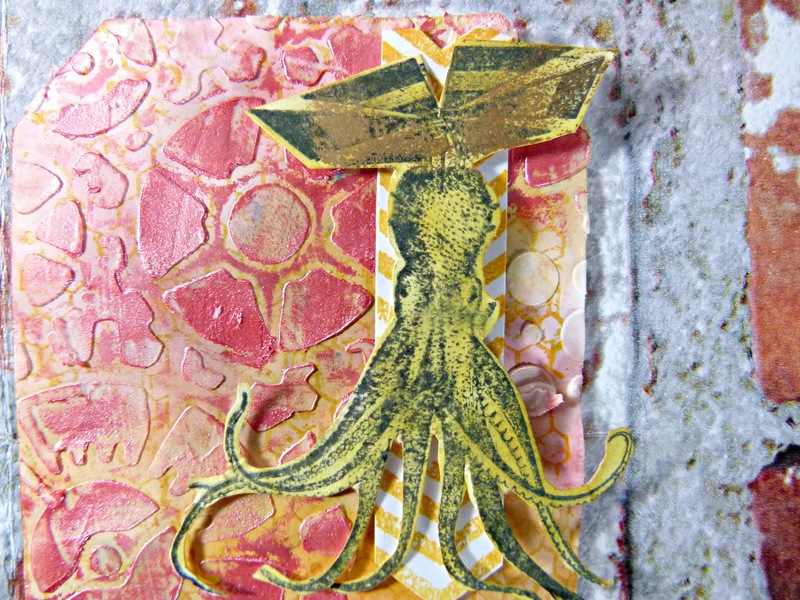 Cover tag with paint using a brayer. Add a stencil with modeling paste. Dry brush with metallic paint. 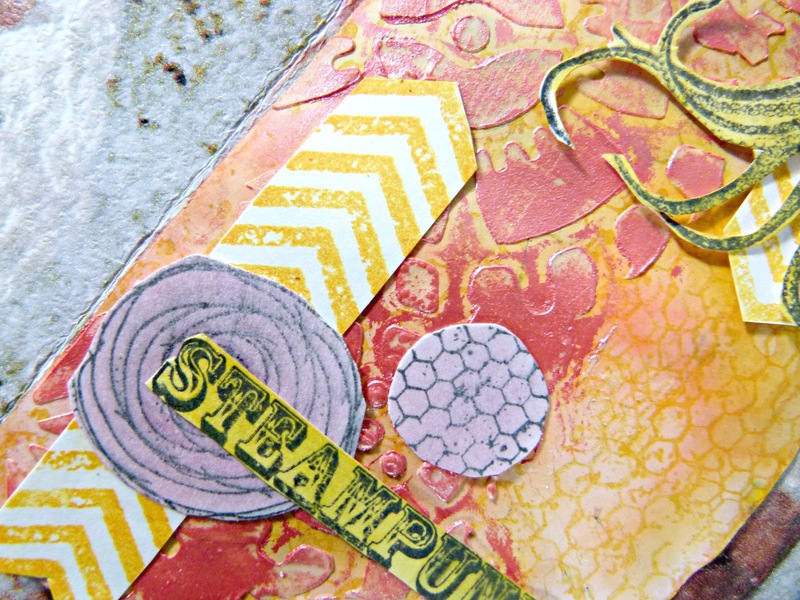 Stamp out the circles and chevron onto card. 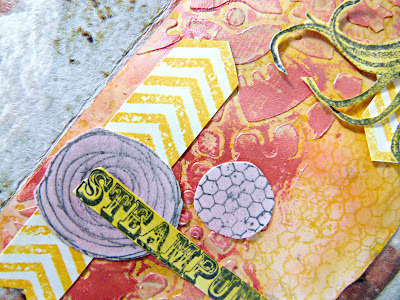 Besure to visit our Fan Page for more idea's!